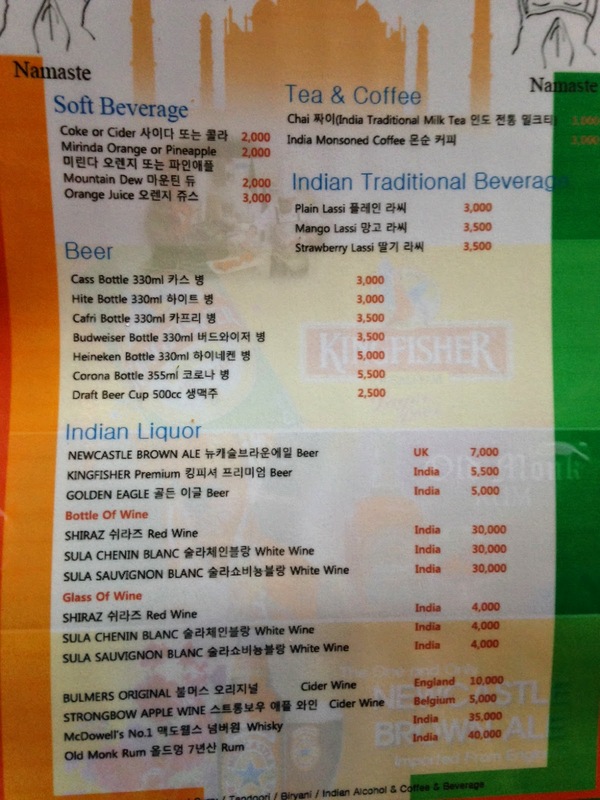 Taj Mahal in Korea is a new Indian restaurant in Daegu near the Shinmae metro stop. We’ve been twice now and have enjoyed both of our visits. 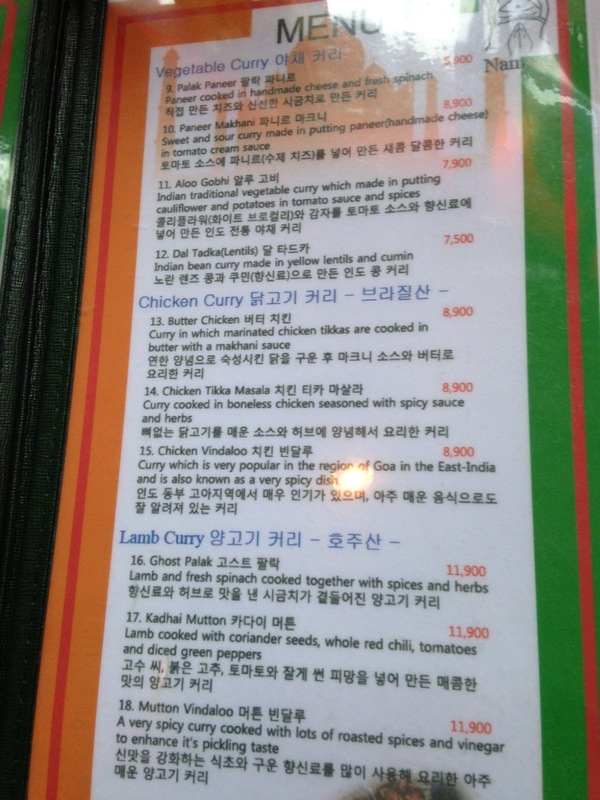 For a family, we can get out of there with a half order of tandoori chicken, 2 curries, 3 orders of naan and 2 alcoholic drinks for just around 45,000 won. That’s a big meal for a hungry family. 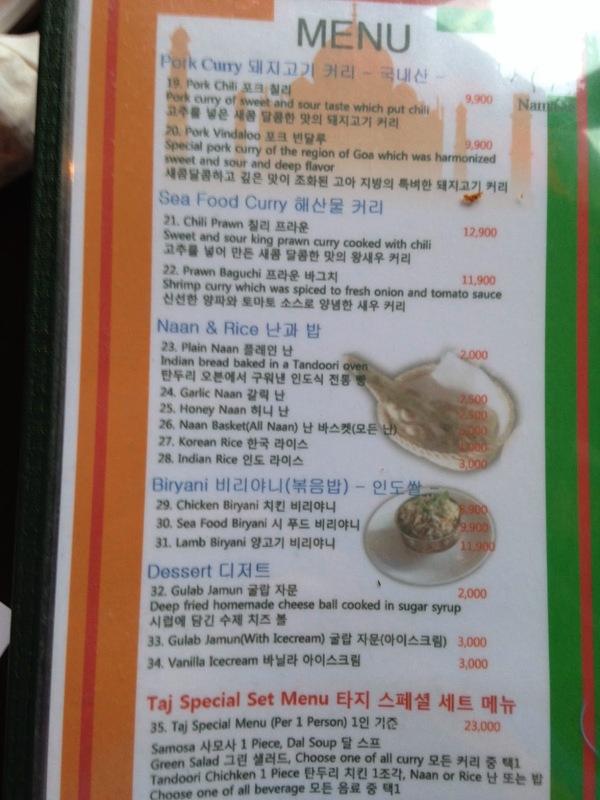 It’s more expensive than a Korean meal, but also a nice and welcome change from rice and kimchi. 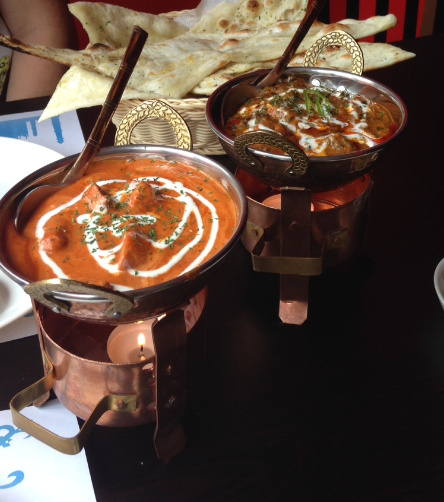 Chicken Curry and Paleek Paneer. 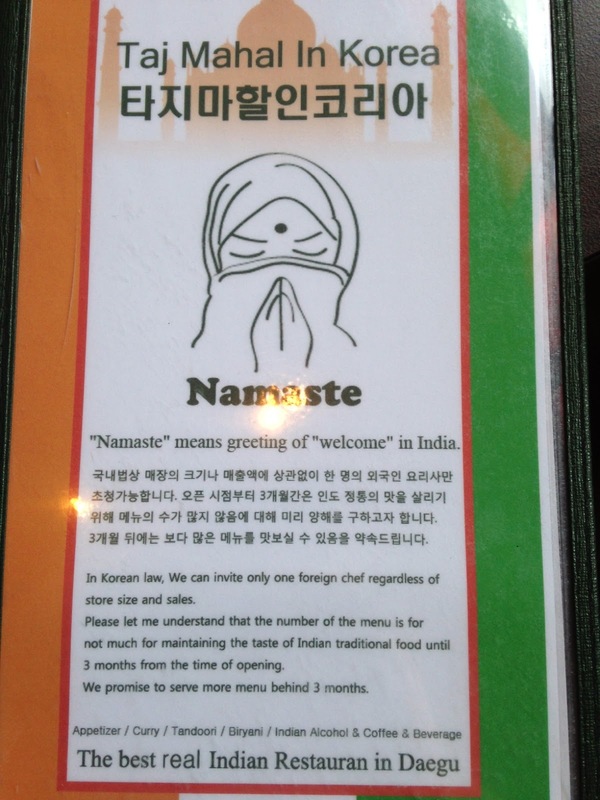 If you like Indian food, I’d certainly give it a try. With an Indian chef and an owner eager to please (all non-alcoholic drinks are complimentary this month) you’d be crazy not to try it soon. We’ll be going back from time to time because of its proximity to us and because it’s quick, delicious and a nice experience with a kid. 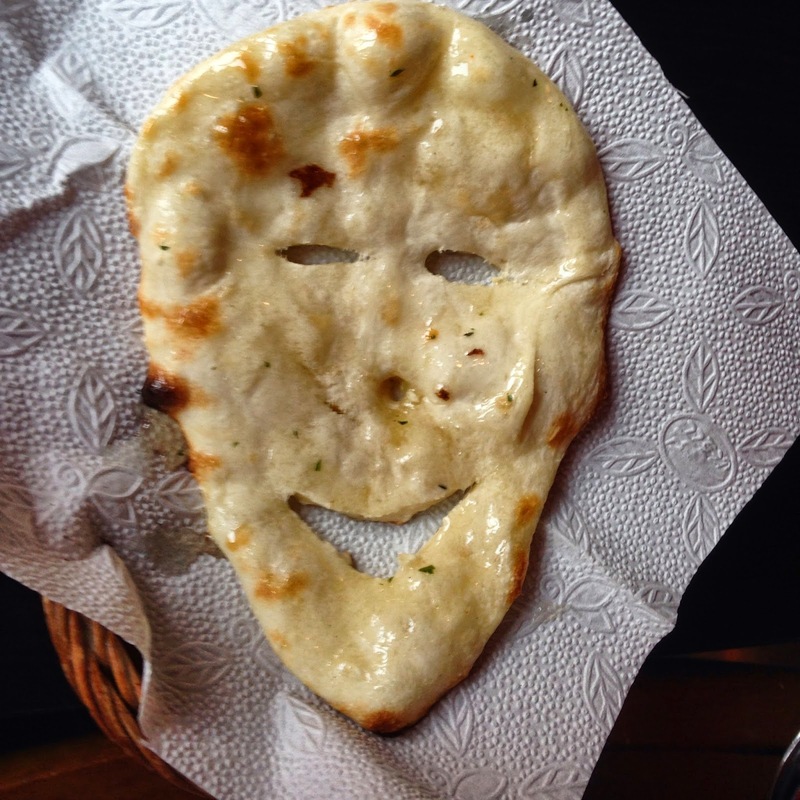 They immediately brought naan and a lassi for our normally fidgety 3 year old. He was fed and hooked right away and we got to enjoy our meal without having to chase or tend to our hungry kid. They know how to cater to the kids. From Shinmae metro stop take exit 5. Walk to the end of the block. Taj Mahal is on the second floor above Dunkin Donuts. 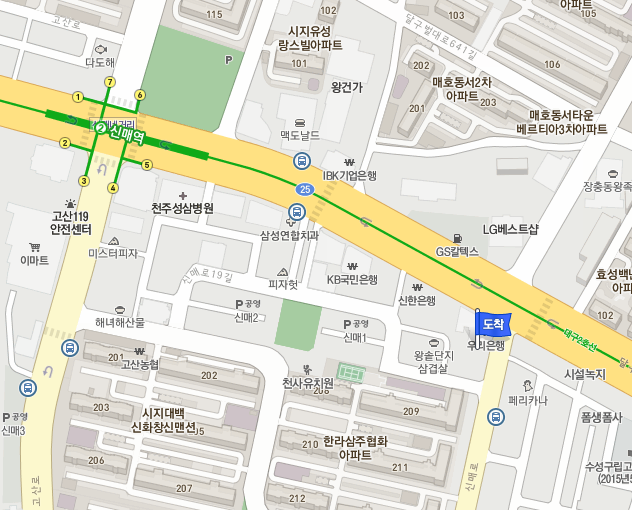 If you are driving from Daegu, it will be on your right hand side on the same block as Siji Square. You can find Taj Majal at the blue 도착 (arrival) flag above Dunkin Donuts.